I apologize to the readers and visitors of my blog for a longer absence. Real life has stepped in and prevented any serious attempt at modelling for the last couple of months. New Year came in the mean time and I hope Santa (or any other local good old guy) brought you some new models under your trees. As I’ve lost a bit of a modelling mojo during this time, I’ve decided to kick-start my building process by building something simple yet nice. 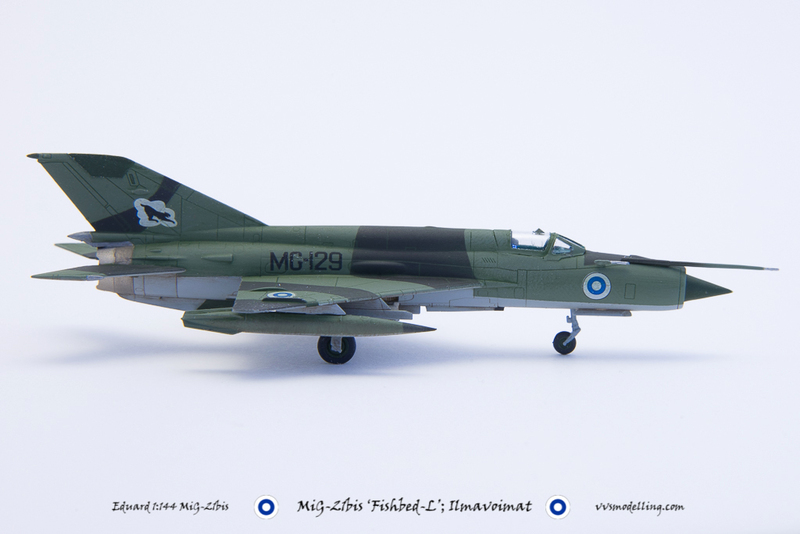 Eduard’s 1:144 MiG-21 kits are just that – they simply fall together and there are countless of marking options for you to choose from. For this project, I’ve decided to build a Finnish bird and the only resentment I have towards Eduard is that they printed the FiAF roundels out of register. 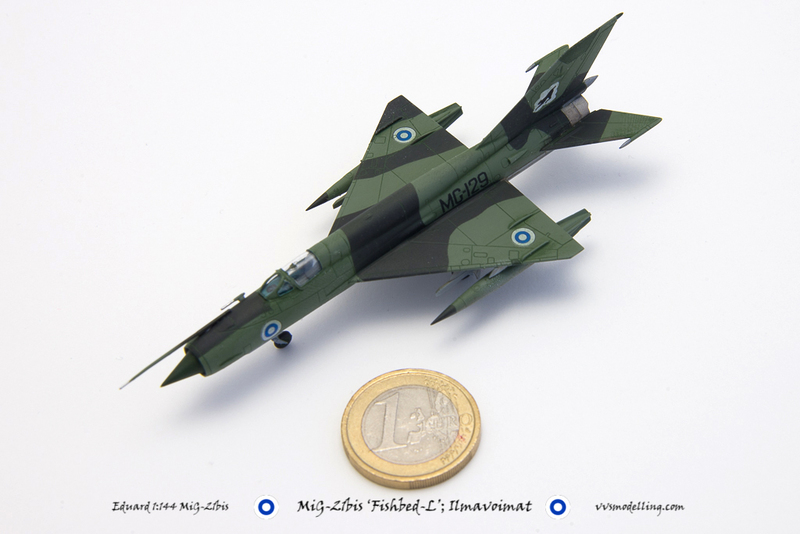 Paints used were ModelMaster enamel Dark Green B-52 FS34096 and Revell 9 Anthrazite which were given an oil colour filter, which darkened the green, gave the Black that greenish tone, highlighted all the panel lines and toned down the markings.